James and Pa Foday in front of the NHA Kabala School. 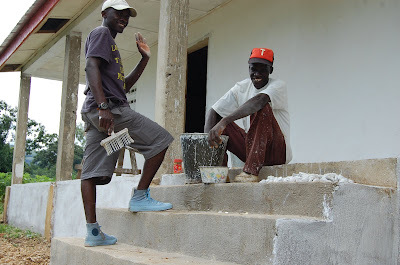 Painting of the school was the priority all week and should be completed this week. James has now arrived back in Freetown.